EDITOR’S NOTE: Part Two of Season Seven starts this Saturday, March 30th on BBC America with series premiere of Orphan Black immediately following! 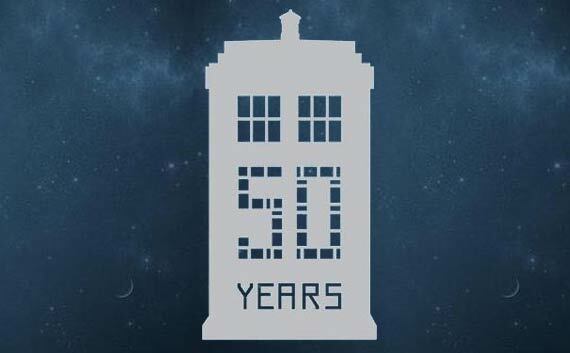 BBC AMERICA will co-produce and premiere An Adventure in Space and Time as part of the channel’s celebrations to mark the 50th anniversary of Doctor Who. An Adventure in Space and Time will tell the story of the genesis of Doctor Who – which first aired on November 23, 1963 – and the many personalities involved. Announced today, David Bradley (Harry Potter) is set to play the first ever Doctor, the iconic William Hartnell, in the drama written by Mark Gatiss (Sherlock, Doctor Who), who will also serve as executive producer alongside Steven Moffat (Doctor Who, Sherlock) and Caroline Skinner (Doctor Who, The Fades). An Adventure in Space and Time (1×90) is a co-production between BBC Cymru Wales and BBC AMERICA. The drama will premiere later this year on BBC AMERICA. The BBC’s Head of Drama Sydney Newman, credited with the creation of the show, will be portrayed by Brian Cox (The Bourne Supremacy, Bourne Identity) and the producer, Verity Lambert, by Jessica Raine (Call the Midwife). The director of the first ever episode An Unearthly Child, Waris Hussein, will be played by Sacha Dhawan (History Boys, Last Tango In Halifax). An Adventure in Space and Time is a co-production between BBC Cymru Wales and BBC AMERICA. Filming begins at the beginning of February at BBC’s Television Centre in London before moving to Wimbledon Studios. The drama is produced by Matt Strevens (Misfits, Skins) and directed by Terry McDonough (Breaking Bad, The Street). Doctor Who recently delivered record ratings for BBC AMERICA when the Christmas Day special Doctor Who: The Snowmen became the channel’s best ever telecast in demo, delivering 2.4 million total viewers and 1.3 million A25-54 in Live+7, rounding out a year of success. Doctor Who returns on March 30 as part of BBC AMERICA’s Supernatural Saturday programming block, alongside world premieres of new original series The Nerdist and Orphan Black. BBC AMERICA delivers U.S. audiences high-quality, innovative and intelligent programming. Established in 1998, it has been the launch pad for talent embraced by American mainstream pop culture, including Ricky Gervais, Gordon Ramsay, Graham Norton, and successful programming formats including ground-breaking non-scripted television like Top Gear and top-rated science-fiction like Doctor Who. Owned by BBC Worldwide, the commercial arm of the BBC, BBC AMERICA has attracted both critical acclaim and major awards including an Emmy®, five Golden Globes® and ten Peabody Awards. The channel attracts one of cable’s most affluent and educated audiences and is available on cable and satellite TV in more than 80.7 million homes. It broadcasts in both standard and high-definition, with content available On Demand across all major digital platforms. Online, www.bbcamerica.com is the place to go to dig deeper into pop culture with a British twist. Find out more by visiting www.press.bbcamerica.com or follow us on www.twitter.com/bbcamerica. 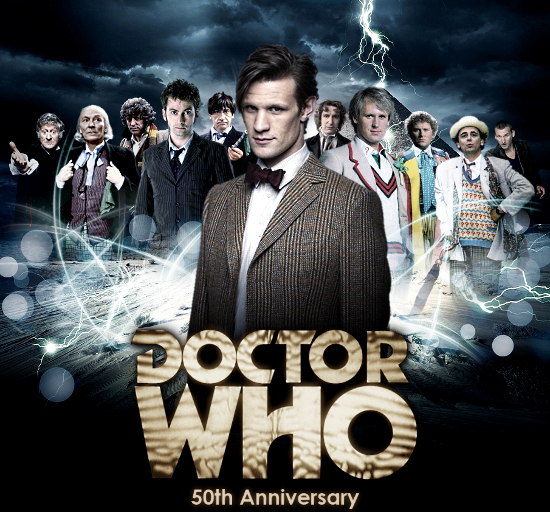 This entry was posted in BBC America, TV NEWS and tagged 50th anniversary, bbc, bbc america, doctor who, drama, science fiction, SciFi, television series. Bookmark the permalink.